Showing my friends the AD album by Vincent. At the end of the album one of them said "huh tt's the end. Very nice leh should have more!" Thank you Vincent for the lovely photos n Nelson for the video! We have a memorable day! for a great job in capturing all the special moments onour actual day, and presenting them in such aninteresting and creative manner in the album! Everyoneenjoyed the photos... thank you so much! Iris and me would like to give you a Big Thank You for having to capture our beautiful moments during the photo shoot and on our wedding day. Your hardwork, creative and extra-ordinary skill on the phototaking and beautiful photos will forever be remembered by us and our first baby boy (Delivery due date in Oct 11). Thanks Vincent and wish you the very best in any thing you do. We would like to take this opportunity to thanks Vincent for his excellent service that makes our wedding day a “BIG SUCCESS!! !”Brothers & Sisters out there if you’re still considering whether to engage Vincent on his services please don’t hesitate. A big thank you for capturing our most precious moments. We like the different styles you had told us to pose.You are indeed a creative photographer. Thanks for the wonderful experiences that you have given us. 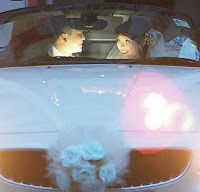 My wife and i really love the photographs you took for our wedding and the service you provided!!! You were professional and at the same time able to make us laugh when we were very stressed!!!! We are lucky to have found an easy going and accommodating PG like Vincent.He makes everyone so comfortable that everybody remembers him!Highly recommended PG for all functions.Thanks for the nice pics! pictures for me and Andy on the wedding day itself. Cheers, a highly recommended photographer. whom is patient and humorous and creative.. Thank you Vincent....the photos and video were excellent. We're glad to have you to attend to our most important day of our lives. Thank you for being such a great help during the wedding. Your pictures and services has won many praises fr our guests and ourselves. Just to let u know that we had really enjoyed ourselves working wif u and ur partner because both of u are really patient, help……ful and professional. The first thing that striked me was how attentive this photographer was. Vincent was always alert, always ready to capture a smile or a tear. The result? Lots of nice photos at every important mom……ent. Vincent was also effective in communicating his ideas to us. He is definitely the photographer we can trust our big day to. Thanks Vincent for the hard work with the video montage and photos. His creativity and professionism made our wedding day a huge success. Glad to find him. Highly recommended! Thanks a lot Vincent for the wonderful pictures!! Really appreciate your hard work and also your joyful nature. It further livens the atmosphere of our special day!! Thank you Vincent, the photos are wonderful. artistic and unique perspective which makes our photographs so interesting. greatly appreciate your well captured moments on our AD. Never regret our choice of having you as our photographer. Punctual, professional, creative, sincere, easy going attitude, the list goes on! Will definately recommend to friends who require your service! And to those who are still pondering over choosing a good photographer, look no further! He's right in front of your laptop monitor! Thanks for the beautiful memories / photos that you had captured for us. we simply love your attitude..
My family and friends love you to bits..
We are back from the States and here's our testimonial to you. We are really glad to have Vincent as our photographer for our once in a lifetime event. Our family and friends have commented that he has done a great job with his great sense of photography. The video montage was a great finale and all our guests were impressed with his work. We love it very much too. We felt very comfortable with Vincent as he knew exactly what we wanted and his direction to us were clear. He is a great photographer indeed and we would like to thank him for capturing all our wonderful moments for us to keep for a lifetime. The man with the X-factor to everything. Am so glad he is our photographer from studio to outdoors and to our actual day. Two thumbs up for Vincent who made our day more significant. Vincent was highly recommended by my sister who have engaged him previously, and indeed he is a real professional and really friendly guy. No regrets having Vincent as our pre-wedding photographer as well as actual day photographer! The pictures were very well taken which even won many praises from our guests. The essence from the actual day events were also nicely narrated through the photos taken. Thank You very much for helping us to capture these beautiful moments. we have never regreted engaging you as our photographer. The morning express montage and the actual day album are magnificant! Very big thanks you become our photographer on our solemnization!! THUMBS UP for your service & your professional skill! All the best ya! We get to know vincent throught the website and from his work and testimonials we decided to engage him.As mentioned buy the other couples he's indeed a very passionate and patience guy who does his work well.. I mean very Good. Great work Vincent!All the fine details are captured and the wedding sequence during my wedding are all very professionally taken.For couples looking for a world class photographer at a reasonablle price and package Vincent the Guy!Our wedding would not be this beatifully crafted withour you. Here's the testi for ya! We got to know vincent through friend's recommendation and there's definitely no regret for having him as our AD pg..
A very friendly, easy-going, and experienced photographer! Thank you so much for the excellent job done during our wedding. Compliments were received by both our parents as well as friends for the photos taken by him as well as the knowledge of the chinese custom thingy! Keep it up Vincent and thanks for the photos that are able to help us keep as a good memory for this special day. Even till now when we flip thru the album, we still have the special feeling given to us at that special day! "We are really glad for making the right choice to engage Vincent as our AD photographer.He has been very patient and obliging with our requests.His attentiveness & friendliness also won many praises from our guests. 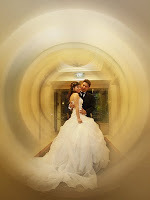 We are especially pleased with the shots he captured and the great efforts he took to produce the wedding album & CD-rom. Vincent, thank you so much! 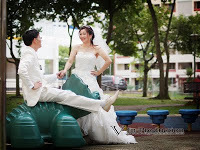 You will definitely be top on our recommendation for wedding photography services!" thank you very much for all that you have done for our actual day photography. Vincent is a professional in many ways. Fabulous photos and never fails to capture the right moment. Thank you for capturing those special moments! 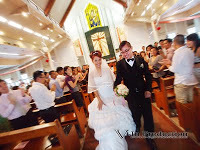 We are very glad to have you as our actual day photographer. 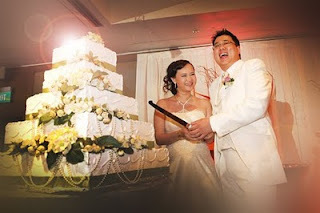 You are really very professional, and knowledgeable in the custom and tradition of weddings. And most important of all, we found you friendly and sociable!My mum even thought that you are one of my good friends! The shots you took for us are lovely and we are able to reminisce through the whole day of events through picture telling. Actual day is the most important day, timing is tight and we love the great moments captured by you.Be it candid, posed shots or photojournalistic style, you have delivered what we have expected of you! 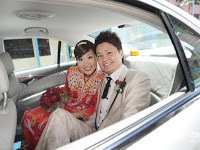 A friend of mine gave us Vincent's contact and really, we never did regret our choice.He managed to capture all the special moments of our wedding day in the most natural way.Friends were highly commending him as he is able to make them feel at ease. Looking at the photographs and coffee table album that Vincent did for us, we are indeed very pleased and delighted that he managed to help us capture beautiful memories which will last forever.Thank you once again for helping us freeze our fondest memories. You are indeed one of the few right choices we make for our wedding. 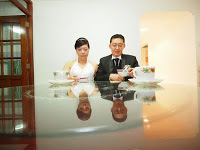 Dear VincentA very big THANK YOU for both our Pre-wedding photo-shoot and Actual Wedding day. 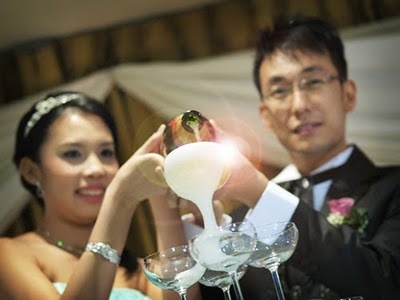 You were able to make us feel relax during the photo-shoot and captured our most natural and fun moments. 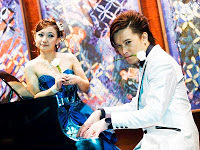 Yu chuan & Doris Loh. You really had made our actual day soo wonderful. Not only were you skilled in your photography, but also your professional and passionate attitude towards your job. Punctual, spontaneous, patient, detail oriented, focus, friendly, honest,... and delivers good result! That's what all couples want for their album, isn't it true? Key highlight is that you can indeed capture emotions and fine prints very well. And the touch up effects to the compilation works made a beautiful closure to the entire event. Anyone who picks up the album can relate to the actual day mood without fail... Big Kudos..
We are indeed very, very, very pleased and glad to have engaged you. Special thanks to my long lost friend (who is another satisfied customer of yours too`) for recommending me a well-budget, yet high-end service photographer ! 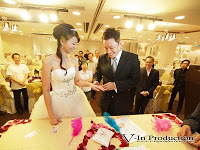 We obtained Vincent's contact through a friend and we are very happy that we engaged Vincent for our actual day photography as well as to compile our overseas shots into an album. 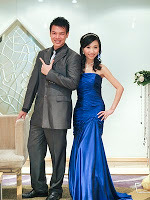 Vincent is a reliable, honest, easy-going and professional photographer whom couples can count on to take great photos. We were impressed with the quality of Vincent's skills in picture editing and layout when we decided to compile our Perth wedding pictures into an album. His work was in stark comparison to the standard of layout and editing services that we were given at a popular local bridal studio. The bridal studio only met our expectations after numerous face-to-face feedbacks for improvements and touch ups - and the designer even flare up at us for our requests! (Disclaimer: we could be just the unlucky ones). On the other hand, Vincent was able to meet our expectations only after one phone conversation on the required changes; showing his level of commitment and understanding towards customers' requirement. Our actual day photos turned out great as well. 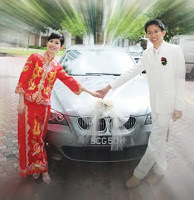 Through his many years of experience, Vincent was able to capture both candid and posy pictures well during our gate crash and wedding dinner. His professionalism at work is laudable as well. 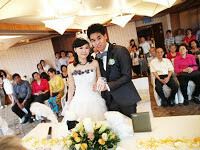 He was punctual and always ready to capture precious memories at our wedding. On many occasions, Vincent also gladly obliged the request from our friends and family to take pictures using their personal cameras. Collection of photos from Vincent after our wedding day was a breeze. All in, we are glad that we have engaged Vincent's services for our wedding and we would definitely recommend him to others. Once again, thanks for doing such a great job with our photos! When we were trying to find a good a reputable bridal studio for our wedding, we came across a photo by Vincent that left a wonderful impression on us, and ultimately resulted in us choosing him as our pre-wedding photographer as well as actual day photographer. I must say it was an extremely good choice we made there. Looking at the completed album, it was as if a movie was playing before our eyes. Vincent was able to capture every bit of the action, emotion and even conversation through his camera. His editing & layouts of the photo was simply the icing on top of the cake. Aside from his wonderful photography skills, he was really knowledgeable, and was able to help us throughout the day, be it who should be putting on my veil to how the tea ceremony should be. He was also real friendly & helpful, both to us & our relatives & friends, making everyone feel at ease and smile naturally for the camera. Thanks for the good weather and also not forgetting your professional skills indeed which had created an unforgettable and yet wonderful memories for both of us.